Our premium quality tooled leather western drop loop style gun belt with .22 cal shell loops, includes a matching holster sized to fit most revolvers with barrel lengths 4 to 6 inches. Gun belt is stitched from two 1/8 inch thick leather sections, forming a full 1/4 inch finished belt that will stand up to the rigors of daily use. The belt features beautiful floral tooling on the belt, and ammo loops across the back. The holster has floral tooling and a snap closure. Buckle may vary slightly from image. Pictured here with our Gray Colt "Peacemaker" pistol replica, sold separately. 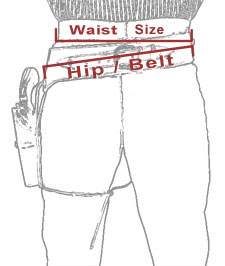 Sizing note: Our gun belts are sized by "hip" size, not waist size. Please measure your hips at the point you intend to wear the belt. For most folks, this means 4 inches larger than their waist size. This holster is right-hand draw. Style may vary slightly. This style gunbelt also available for .38/.357 caliber and .44/.45 caliber pistols. Click here to see the Left Handed (.22 cal) Western Gun Belt and Holster - Black Tooled Leather. Better quality than I expected but I recommend going down a size instead of going up if you are in between sizes. But the belt and holster are beautiful. Belt would not buckle into last hole in the belt. Rivet was showing signs of rust. holster seemed to big around the cylinder area. tooling looked great and over all construction is good. will last a long time and lots of use. Nice. Will be getting another one soon for a friend. Well constructed with very nice leather tooling. Very happy with the gun belt. It is exactly what I was wanting. You were out of the holster I wanted and I settled for black instead. I like it but I should not have accepted the substitute. Weak Christmas moment just to have something under the tree. I'm satisfied with the gun belt but disappointed in the holster. The gunbelt is nicely tooled and sized down to the sizing for 22 caliber shells. The holster seems way to big for my 22 call roughrider. The gun almost disappears in the holster! This is a very nice holster. Was exactly what I was looking for. My Ruger Single Six fits perfect. Very well made. cartridge belt tooling looks good the holster however does not fit 22cal revolver it is to large making it hard to grab hold of grip. The holster is better fitting for a larger caliber revolver. My 357 mag revolver fits better but not perfectly. But then I would need a 357 cartridge belt. The holster is of the highest quality, the fit is superb. 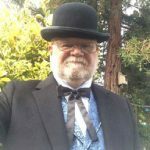 When I need a holster for any additional weapons I will be getting it from Historic Emporium. Holster fit perfectly off of recommended size ordering. Leather work is very nice Very pleased with purchase.